On the 29th of September 2017, the Bonduelle Supervisory Board, under the chairmanship of Martin Ducroquet, reviewed the statutory and consolidated financial statements for FY 2016 - 2017 as presented by the Executive Board and certified by the company's statutory Auditors. FY 2016-2017 reflected, once again, for the Bonduelle Group, in a solid organic growth both in terms of turnover and current operating profitability, despite operating in a challenging environment (sluggishness of the consumption in Europe, economic crisis in emerging countries and difficult harvests for 2016). This remarkable performance, confirming the group's strong resilience, is coupled, this FY, with the acquisition of Ready Pac Foods. This major acquisition - the largest ever in terms of size in the group’s history - has profoundly changed the group's profile, strengthening its international expansion and highlighting, by the development of its ready-to-eat segment, the search for new sources of growth that are capital employed efficient. The on-going performance increase of the group’s historical business scope and the full-year contribution from Ready Pac Foods will result for FY 2017-2018 in strong growth both in terms of turnover and profitability, in line with the VegeGo! 2025 plan’s objectives. Over FY 2016-2017 (1st of July 2016 - 30th of June 2017), the group’s turnover reached 2,288.1 million of Euro, an increase of + 16.3% on reported figures. This performance reflects a solid organic growth (+ 2.7%), at the higher range of the announced target (+ 2 to +3%), a positive effect of currency fluctuations (+ 1.-%) and the consolidation of Ready Pac Foods as of the 21st of March 2017. The Europe zone, representing 55.8 % of this FY turnover, returned to growth: + 0.2% both on reported figures and like for like basis(1), driven by a dynamic fourth quarter recording + 1.6%. The lack of products due to the poor harvests observed in summer 2016 (cans and frozen) and early 2017 (fresh- cut bagged salads) was partially offset by a sunny spring promoting the consumption of canned corn and fresh prepared products. The non-Europe zone recorded an increase of + 45.9% based on reported figures and represents 44.2% of the turnover. This performance was fuelled by a solid organic growth standing at + 7.1% coupled with a positive effect of currency fluctuations of + 3.1% and a + 35.7% contribution from Ready Pac Foods over a quarter. Ready Pac Foods, now Bonduelle Fresh Americas, also recorded very strong growth over 12 months, hence continuing to improve its American market penetration. Given the result of the companies consolidated by equity method (+ 0.1 million of Euro), an income tax expense of 22.3 million of Euro i.e. 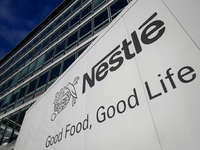 an effective tax rate of 27.2%, stable over the period considered, the net result for this FY stands at 59.8 million of Euro, an increase of + 11.4%, representing 2.6% of the turnover and 3.1%, when excluding Ready Pac Foods, the dilutive impact on the FY being linked to the acquisition costs. FY 2017-2018 will be characterized by the integration of Ready Pac Foods and its consolidation over 12 months. The group is expected a revenue growth, at constant exchange rates, of circa 3% and a current operating profitability growth of 7 to 8% of its historical business activities. Given revenue and current operating profitability growth of Ready Pac Foods and its consolidation over the entire fiscal year, the group is expecting consolidated revenue and current operating profitability growth of circa 25% at constant exchange rates for FY 2017-2018, the debt ratio(3) dropping back to a ratio lower than 3x excluding new acquisitions. Bonduelle, a family business, was established in 1853. Its vegetable, grown over more than 130,000 hectares all over the world, are sold in 100 countries under various brand names and through various distribution channels and technologies. Expert in agro-industry with 54 industrial sites or own agricultural production, Bonduelle produces quality products by selecting the best crop areas close to its customers.